These sheets offer clean lines for your students to reflect on a recent cultural performance - a play, a music performance, educational assembly, etc . Illustrations, captions and critical thinking skills integrated throughout. Two formats to meet your students' developmental needs. Each end product will be diverse and give insight to what 'stuck' with your students and allows you to creatively integrate language arts elements into any content field. In addition, instill a sense of gratitude by thanking those involved. 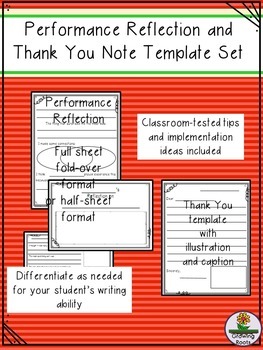 The simple format allows a lot of flexibility and adults LOVE to get these notes! 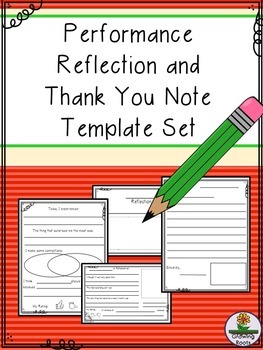 The thank yous can be whole class, small group or individually generated. The fold over format gets a lot of attention when posted in the hall. Large Scale Timeline with cut-and-paste option. . The Pet Project – A mini economics simulation for second-fifth grade.